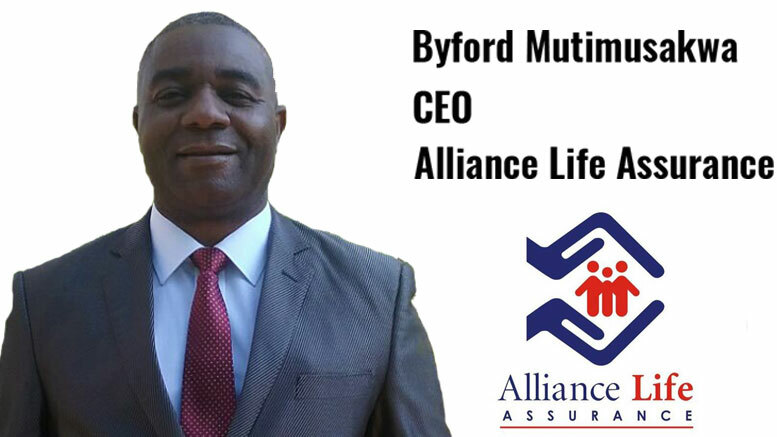 TanzaniaInvest had the pleasure of interviewing Byford Mutimusakwa, CEO of Alliance Life Insurance Tanzania. Life insurance (long-term assurance) represents 11% of the total Gross Premium Written (GPW) of the Tanzanian insurance industry. Alliance is one of the leading insurance and financial services companies in East Africa, with its headquarters in Dar es Salaam. Mutimusakwa discusses the life insurance sector in Tanzania and the company’s plans for the future. TanzaniaInvest (TI): Life insurance and insurance in general is still in its infancy in Tanzania. Why is that so and which opportunities do you foresee? Byford Mutimusakwa (BM): The insurance concept is not appreciated in Tanzania. There is a cultural aspect where the community believes that once you insure yourself, you are inviting bad luck. Despite all the efforts made towards raising awareness of the insurance concept, the level of understanding in Tanzania is still very low. Therefore, we need to educate people about insurance on a very basic level. All in all, currently insurance is an offer-driven product in Tanzania, i.e. we have to push the products to the people to increase the market penetration. Nonetheless, there are vast opportunities in the life and general insurance industry in Tanzania. In the life insurance business, opportunities lay both in individual and group life insurance; however, selling life insurance to corporates is much easier than selling to individuals. The challenges arise from the fact that corporates in Tanzania are not obliged by law to provide life insurance to their employees. Nonetheless, there is huge potential in individual life insurance in Tanzania but we can sell group life only to corporates that are interested in offering competitive benefits to their employees. However, there are not many large corporates in Tanzania because businesses are centred on individuals, and buyers don’t look at the benefits being offered with the insurance but buy from the insurer who offers the lowest price. TI: Some Tanzanian banks have started selling insurance products to their clientele. How is this impacting your distribution model? BM: Bancassurance is a big boost to selling individual life insurance but the commissions are higher than those given to brokers. We are considering partnering with banks, which have a wide branch network but other options for distribution of individual insurance include selling through direct agents and partnering with mobile companies. However, for this you need about 400–500 sales agents to really make an impact and push through the market. This calls for opening a number of branches and strategic centres, which adds to the cost. The cost of the software needed is also quite expensive. Hence, the upfront investment for selling individual life insurance is quite high but the profitability after 4–5 years will be higher than what you get from selling group insurance. TI: How attractive is the insurance market in Tanzania when compared to the African market in general? BM: The Tanzanian insurance sector is very attractive if there is a client-centric decision-making process. The Tanzanian market is a long-term one, which requires a lot of investment and hard work. Tanzania’s insurance market is competitive but market penetration is low. The potential is unlimited for insurers selling individual life insurance as long as they put in place a sound business model. Currently, 10–20% of government workers have individual life insurance so the market is set. TI: With only 5 insurance companies selling life products in Tanzania, how competitive is your segment? BM: Indeed, there are only 5 companies in Tanzania offering life insurance with a population of 50m, while in a country like Ghana, there are 21 with a population of 25m. This tells us that there are very few buyers and that the insurance industry has to work together to develop the market. Another challenge in Tanzania is that banks as well as some financial institutions are doing self-insurance. TI: Do you expect new players to enter life insurance in Tanzania? BM: I expect more players to enter the industry, mainly offering individual life insurance. These will be big players with large capital bases and high skills. So, the life insurance sector will grow, which is a necessity to the Tanzanian society. Overall, the driver of growth in individual insurance is awareness, while in group insurance of corporates, it is regulation. TI: What role do you see Alliance Life Insurance playing when these big players come in? BM: We hold the third place in Tanzania in relation to corporate clients. We already have the brand and the relationships, and we intend to continue leveraging on that. This is why I believe that newcomers selling group insurance will be facing tough competition but those focusing on individual insurance can be successful.